Patient instructors without ego or hours of stories. 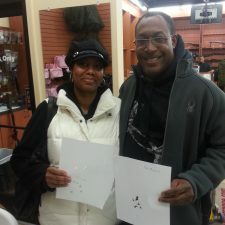 Get your Concealed Pistol License now. Small classes. Unlike a lot of the other classes, our focus is on quality. It’s easy to just stand in front of a very large class and talk the whole time and use fake training guns, but our approach is different. Our class is hands-on, starting from the very beginning. Don’t own a gun? No problem. You’ll handle so many different ones during class you’ll find out really quickly which style fits you best. Never shot a gun before? Great! That’s our specialty. We will work with you 1 on 1 at the range. I promise by the end of it you will feel like $1,000,000 or you can take our class again for free. 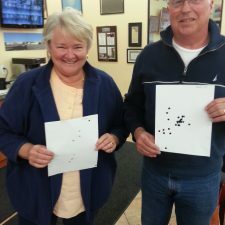 Don’t skimp on quality CPL CCW classes to save $20. 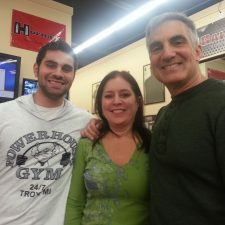 Remember, this is the class which trains you when/how to use a firearm in self defense. It’s serious. Don’t settle for the rest, register for the best. Do you have to retreat? We start by covering basic pistol safety including how to clear guns and how to operate them. You will learn the different types of guns available, and what factors to consider before choosing to buy one. Next, we cover defensive shooting fundamentals including aiming and grip. We then cover violent encounters, and how to avoid them. Some topics include how to recognize a threat and what to do if you’re involved in a shooting incident. Then we eat lunch (normally we order pizza) and begin our legal section, including use of deadly force and laws governing concealed pistols in Michigan including civil liability and encounters with law enforcement. Finally, we discuss methods to get more training and all the gear and gadgets that might be useful, including holsters, lasers and flashlights. Students turn in the visual test (which we review after each section), and we head to the shooting range to complete the shooting portion of the class. After the range safety briefing, we practice applying the shooting fundamentals including point shooting. You will need writing pad and pen/pencil and your pistol you intend to use for the range. Your pistol should be in a case and unloaded for transportation in your vehicle. Absolutely no ammunition in class, please. You can use any caliber pistol for this class. Bring any snacks or drinks you may want throughout the day. Coffee is provided for free, and there are other beverages available for purchase from the range. We normally order pizza for lunch, so if you want something different make sure to pack a lunch. Handgun rentals are available for the class, so you don’t need to own your own gun. If you do not already own a pistol, renting is a great way to find out what you like or what fits your needs best.